Open pores known to be the biggest problem of the skin as it can develop acne, blackheads and scars on the face. It interferes your beauty so it really matters. 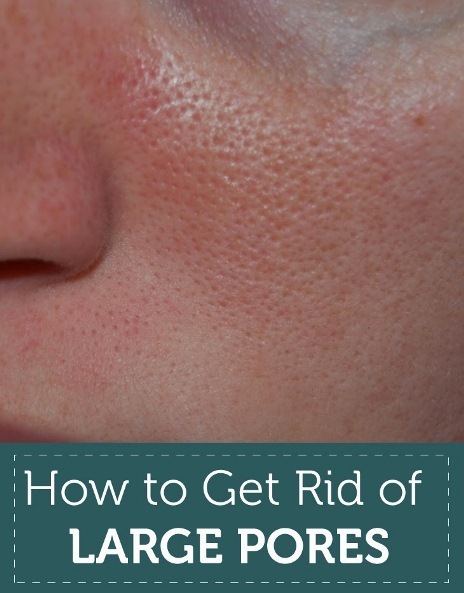 People with oily skin can easily get open pores. 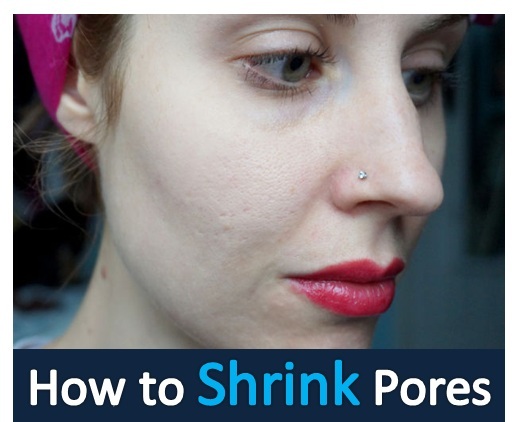 The dirt, bacteria and excess amount of sebum secretion is the reason of the clogged pores and the other problems begin to develop from open pores like acne, blackheads and scars make the pores more visible and larger. The reason would be definitely the long time exposure to the sun because it tends to damage the skin collagen, therefore your skin losses elasticity of the walls of the pore canals. As the life passes, there is an increasing activity of the open pores and losing the elasticity. Other aspects of open pores include poor skin care, genetic factors and stress that could effect on your skin. Ice simply works to close the open pores by shrinking them. Before applying makeup, the people with open pores are advised to do icing in this way the blood circulation will keep your skin healthy and fresh. Take a clean cloth and wrap some ice cubes in it. Dab it gently onto your skin for approximately 30 seconds. Do this remedy few times on the daily basis and you will see a good improvement by the time. Another simple remedy is wash your face again and again with the icing water daily. For getting more benefits, you can also freeze the water mixing with cucumber juice, apple juice, green tea and rose water. Apple cider vinegar is the best cure for the skin. It is used as a natural astringent and skin toner. Many functions are concerned with apple cider vinegar such as it reduces the appearance of open pores, tighten the skin, and restore the skin pH level, gives antimicrobial and anti-inflammatory effects to the skin. Take equal amounts of both apple cider vinegar and water then mix them thoroughly. Take a piece of cotton pad and soak it into this solution. Now apply on your face dabbing it gently. Leave it for few minutes then rinse it off. If you need the best results then you should do this remedy every night before going to bed. Egg whites have a property to reduce the open pores by shrinking them while these are large. Egg white is also a skin toner like apple cider vinegar as it tightens the skin. To eliminate excess secretion of oil and grease from the face, the best remedy can be prepared from egg whites. Take one egg and whisk an egg white in a mixing bowl then gently spread it all over your face using foundation brush. Allow it to dry completely them wash it off. It would be best to cover your skin with a tissue paper after applying the whisked egg white. Follow the remedy twice a week regularly. Alternatively, mix lemon juice in whipped two eggs. Spread it all over your face then leave it for 10 minutes. Wait until it dries then wash it off properly. Repeat the procedure few times a week for about one month. Sugar scrub is also best for reducing open pores and especially blackheads. The excess oil and impurities of the skin will also eliminate. In a mixing bowl, add two tbsp. of sugar, one tbsp. of olive oil and few drops of lemon juice. Rub this mixture with the gentle motion of your hands on the face for 30 seconds. Wash it off with cold water and do this remedy two times a week. Another option is to put some sugar on the slice of bread or wedge then rub it on your face. After leaving it for 10 minutes, wash your face. Do this remedy two times a week for few months. Combine equal parts of honey and lemon juice along with little amount of sugar in it. Massage your face gently with this mixture then leave it for 10 minutes. Rinse it off properly and repeat the procedure for two times a week. Baking soda is always available at your home but you do not know the benefits hidden in it. Yes, it has a natural cure for the skin as it works as an exfoliating agent, removing the excess oil, dirt and impurities from your skin. Not only this, it has ability to balance the pH level of your skin by removing the problems like acne and pimples with its antimicrobial and anti-inflammatory functions. Mix two tbsp. of both baking soda and lukewarm water in a bowl. Apply this mixture directly on your skin then massage it gently with the circular motion of your hands. Repeat the process daily for seven days. Fuller’s earth is commonly called as multani matti. It is another useful option to protect your skin from open pores and absorbance of excess oil. It also helps in reducing the scars and blemishes and protects your skin from any damage. In a mixing bowl, add two tbsp. of fuller’s earth along with the adequate amount of rose water. Mix them thoroughly until it becomes like a smooth paste. Apply this face pack gently on your skin then leave it for 20 minutes. Wait until it dries then scrub it off and rinse it off with water. Use this mud mask two times a week. Lemon juice contains whitening properties for the skin. The essential substance such as citric acid is present in the lemon so it is used as an exfoliating agent for the skin. It slows down the development of open pores by improving the complexion and removing the dark spots with its bleaching properties. Mix one tsp of organic honey in the lemon juice squeezed from one lemon. Now apply this mixture on the skin and leave it for 15 minutes. Rinse it off and follow this remedy for a month on the regular basis. Alternatively, mix equal amounts of lemon and tomato juices then apply on the skin. Leave it for 15 minutes then rinse it off. Repeat the procedure three or four times a week at least for one month. Combine one tsp of each lemon juice and cinnamon powder in the form paste. Apply it on the face for 10 minutes. Repeat the procedure daily for a month. Cucumber exfoliates your skin and shrinks open pores. It gives a fresh and glowing effect on your skin by removing the impurities, dirt and debris. Take one cucumber and grate it to extract its juice. Soak a cotton ball in this juice then apply on your skin. Leave it for 20 minutes then rinse it off with cold water. You also have an option to add little amount of rose water or lemon juice in the cucumber juice. Apply this mixture on the skin for 15 minutes then rinse it off with cold water. Yogurt has lactic acid which helps in eliminating the excess oil, dirt and dead skin cells. It also helps in removing the wrinkles and fine lines. Apply directly a thin layer of plain yogurt on your face. Sat aside for 10 minutes then rinse it off with cold water. Repeat the process for four times a week for at least one month. Add one tbsp. of gram flour (besan) into two tbsp. of plain yogurt. Apply this paste on your face then leave it for 20 minutes. Finish the process by rinsing your face with cold water. Follow this remedy for two times a week. Those persons who have the problem of excessive secretion of oil and have skin covered with acne can apply a mixture of one tsp of yogurt, two aspirin tablets (crushed or in the form of powder), one whisked egg. Leave it for 20 minutes after applying the mixture then rinse it off with cold water. Repeat the remedy for twice a week. Oatmeal is also a beauty treatment for the skin as it helps in removing the oil, dirt and the skin cells that are the reason for the open pores to make it large. Another advantage of oatmeal is that it helps in making the skin sooth and healthier. In a mixing bowl, add five tbsp. of honey, two tbsp. of milk powder and two tbsp. of oatmeal. 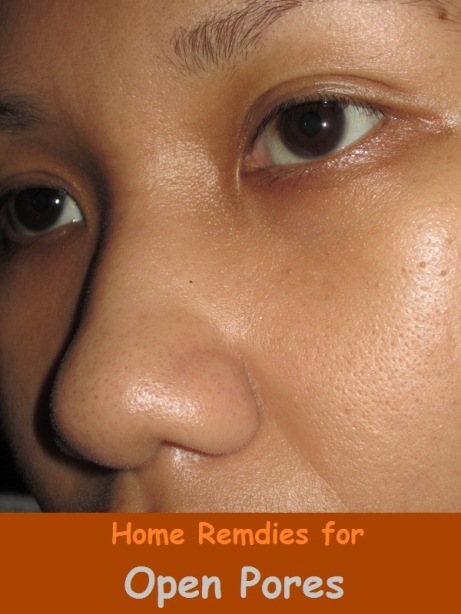 Spread this mixture on your face and gently rub the skin in circular motions. Leave it for 15 minutes until it dries completely. Scrub it off and wash your face with cold water. Repeat the remedy twice a week on the regular basis.